Tom Rath is an expert on the role of human behavior in business, health, and economics. He has been described by business leaders and the media as one of the greatest thinkers and nonfiction writers of his generation. Tom has written five international bestsellers over the past decade, starting with the #1 New York Times bestseller How Full Is Your Bucket? In 2013, his book StrengthsFinder 2.0 was the top-selling book worldwide on Amazon.com. Tom's latest New York Times bestsellers are Strengths Based Leadership, Wellbeing, and Eat Move Sleep. In total, his books have sold more than 5 million copies and have made more than 300 appearances on the Wall Street Journal bestseller list. 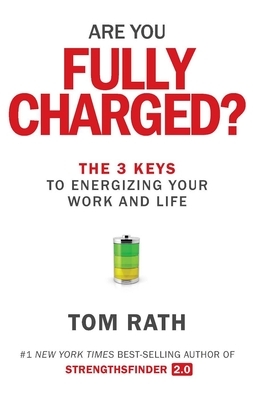 In addition to his work as a researcher, writer, and speaker, Tom serves as a senior scientist and advisor to Gallup, where he previously spent thirteen years leading the organization's work on employee engagement, strengths, leadership, and well-being. Tom also served as vice chairman of the VHL cancer research organization. He holds degrees from the University of Michigan and the University of Pennsylvania, where he is now a guest lecturer. Tom, his wife, Ashley, and their two children live in Arlington, Virginia.